You’ve undoubtedly seen the ads for DNA tests that will allow you to connect with extended family members. While such tests can produce many exciting discoveries, they also have potential to turn up some very upsetting news. This article from The Atlantic discusses some of those bombshell results. Most of the people presented here who’ve experienced such results are over the age of 50. Many people actively researching their family tree are those to whom retirement has provided the time necessary for genealogical research. The generation whose 50-year-old secrets are now being unearthed could not have imagined a world of $99 mail-in DNA kits. But times are changing, and the culture with it. “This generation right now and maybe the next 15 years or so, there’s going to be a lot of shocking results coming out. I’d say in 20 years’ time it’s going to dissipate,” she predicted. By then, our expectations of privacy will have caught up with the new reality created by the rise of consumer DNA tests. The article focuses on a support group on Facebook for people whose genetic tests deliver upsetting news. So, what are your birthday plans? This did not happen with my mother, who died almost two years ago at age 89, but, according to the article, such rallies, also known as terminal lucidity, sometimes occur. However, there is little scientific evidence about either the frequency of or the reasons for such rallies. Far from seeming narcissistic, undertaking a self-obituary can be a form of summation and of caregiving for those who may be in need of direction after we are gone. This is one of those topics that comes around periodically. Writing one’s own obituary is a variation of the psychological concept of life review, a process of life evaluation that many older adults go through, either consciously or unconsciously. Writing the obituary helps make the life review a conscious process that allows people to record the events, accomplishments, and values that they would most like to be remembered for. For people in midlife, remembering that we all have to die may redirect ongoing goals; for seniors, such a workout may remind us to view current problems within the context of what really matters most to us. This article contains links to obituaries others have written for themselves and suggestions for writing one’s own. Emma Court examines the benefits of adult rereadings of childhood books. In a 2012 study that looked at why people reread books, rewatch movies, and revisit the same places, the researchers interviewed 23 participants about which experiences they chose to repeat, why, and how they felt during it. They found that repeat experiences “allow consumers an active synthesis of time and serve as catalysts for existential reflection.” Childhood books offer an opportunity to sit down in the river of time, if just for a moment, and ponder the full scope of one’s life. For one woman in the study, who often rewatched the 1999 romantic drama Message in a Bottle, the movie helped her process an upsetting breakup. It’s time once again for Weekend Coffee Share. 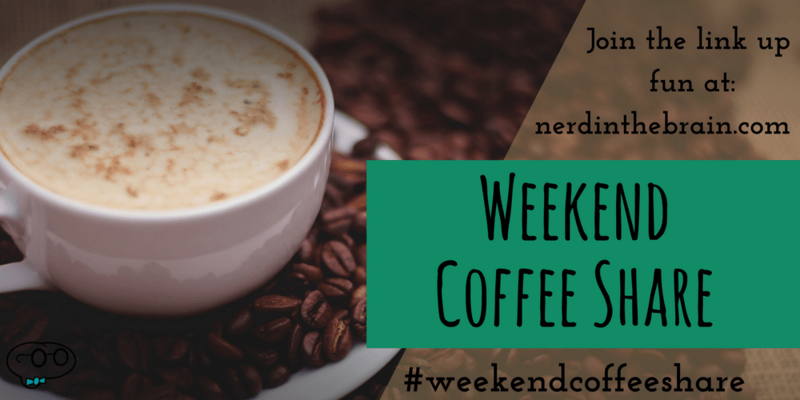 If we were having coffee, I’d tell you how delighted I was last week to connect with so many of you on my maiden excursion into Weekend Coffee Share! Thanks to everyone who welcomed me and responded to my post. I was hoping to open up some interaction with other bloggers, and you didn’t disappoint me. If we were having coffee, I’d tell you that I was also delighted to discover that many of you are writers. You helped me gather up enough courage to announce that I, too, am a writer and have chosen 2017 as the year I concentrate seriously on that work. At the beginning of the year I joined The Writing Cooperative on Medium so that I could participate in their 52-Week Writing Challenge. I’m a Virgo, which means I’d good at keeping my word, so committing to write an entry a week for the challenge has helped me. My work is here. If any of you would care to take a look, I’d appreciate it. If we were having coffee, I’d say thanks once again for listening. I’m still working on developing my writer’s voice, and the Weekend Coffee Share is another exercise I’m using for that purpose. And I’d also say that I hope everyone has a good week until next weekend! 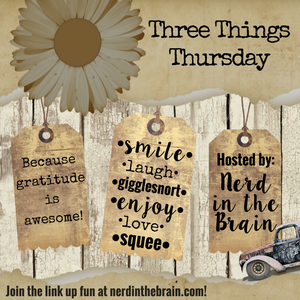 Here are three things that warmed my heart recently. We moved to Tacoma, about 25 miles south of Seattle, just a little under four years ago. I always love finding out new things about where we now live, and I also love reading, especially fiction. So I was pleased to come across this list of books that will introduce me to the region. There are enough suggestions here to keep me happily reading throughout 2017. Creative Colloquy was founded in February of 2014 with the intention of fostering relationships built upon the mutual admiration of the written word and providing a platform to highlight literary talent in the South Sound. We do this in a number of ways including the online literary site focused on short fiction, novel excerpts and essays but also including poetry and other prose penned by writers who reside in the Pacific Northwest. South Sound refers to the area around Puget Sound south of Seattle. This organization holds monthly events in Tacoma. I had been looking for a local writers group. Perhaps this will be it. Who wasn’t touched by the recent deaths, just one day apart, of Carrie Fisher and her mother, Debbie Reynolds? HBO had completed a documentary on the famous duo scheduled to premier later in the year, but the network moved the date up to January 7. I hope all of you will have a fantastic week. This is the latest novel in Donati’s Wilderness series. I haven’t read the previous books. What drew me to this one is that it’s the story of two female physicians, graduates of the Woman’s Medical School, in New York City in 1883. I wrote my dissertation on the autobiography of Elizabeth Blackwell, the first woman to receive a medical degree in the United States (1849), and the life stories of four other nineteenth-century female physicians. I’m really looking forward to reading this one. Thanks, Kate! Since I love to photograph toadstools and other fungi, I figured I should spend some time learning about them. This book has more than 1,000 color photographs and teeny-tiny print. Boy, have I got a lot to learn! Confession: I bought this one for myself. I can use all the help I can get in this area of life, which is why I gifted myself with this book for Christmas. It’s New Year’s Eve. Be safe out there, everyone. And Happy 2016 to all of you! Even though the year isn’t quite over yet, the stat monkeys have sent me an annual report for Retreading for Retirement. I’ll be doing my own number crunching for a later report, but here’s what this one has to say. I hope you enjoyed reading Retreading for Retirement this year as much as I enjoyed writing it. Once again, travel has intervened (which is a good thing) and affected my blogging (not such a good thing). Since this report falls right in the middle of a two-week cruise, I will once again have to publish posts after I arrive back home, where I have reliable internet access. This travel also means that my personal blog, Retreading for Retirement, has the heaviest concentration of entries. The total of posts here may not equal the number of posts written last month because I occasionally publish the same post on more than one blog. However, I have included each post only once in my total word count. I haven’t had enough time to write substantive book reviews lately, but the publication of Harper Lee’s much-touted second novel gave me a lot to say. This post allowed me to pull together a lot of related ideas that I’ve discussed separately before. After the chaos of my June blogging, in July my main goal was simply to get back into the habit of writing and publishing a post every day. At that I succeeded. However, I did not work on my word for the year, story. And I anticipate a bit more chaos in the upcoming weeks because we are taking a two-week cruise along the West Coast between Seattle and Alaska during the last week of August and the first week of September. Once again, both my internet connectivity and my free time will be limited. I am therefore not setting any specific goals other than to end up with a post for each day until the second week of September. I was happy to get my word count back up after June’s scant month. In fact, July’s total word count was the second highest of my seven months of this blogging challenge. And my average post length was the third highest; although I had seven posts of 1,000 or more words in July, I also had several shorter (500 words or fewer) posts as well. Because our two-week European vacation produced an inordinate number of posts to my personal blog, Retreading for Retirement, in June, in July I tried to even up the number of posts across the three blogs. It was my longest post of the month. The topic is one I happened upon in a visit to someone else’s blog. The topic engaged me personally and therefore helped me concentrate on voice as I was writing. Overall, I consider July to have been a good blogging month for me.